The wedding Wednesday series is almost at a close! I think it worked out great to end this series with the ‘gifts’. After all, the gift giving was done right before the wedding. Today I want to share some of the gifts we gave to our bridal party. It meant a lot to us that we had a core group of friends/siblings by our side on that day. It also meant a lot to me that my good friend, Beth, helped me out with the gift for the bridesmaids. She runs an Etsy shop, Bobbin & Co., where she sells adorable hand-made bags. 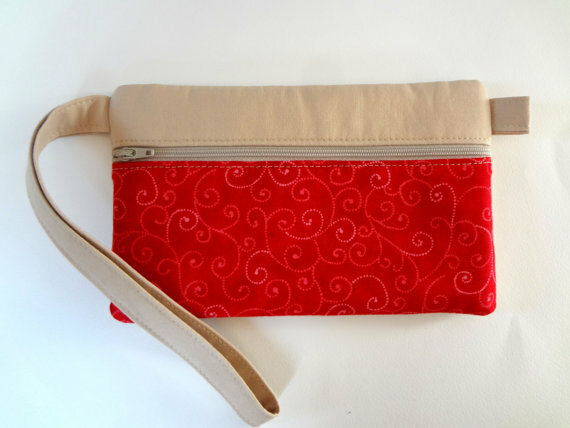 Bags like this wristlet! We custom designed it to match the wedding theme. 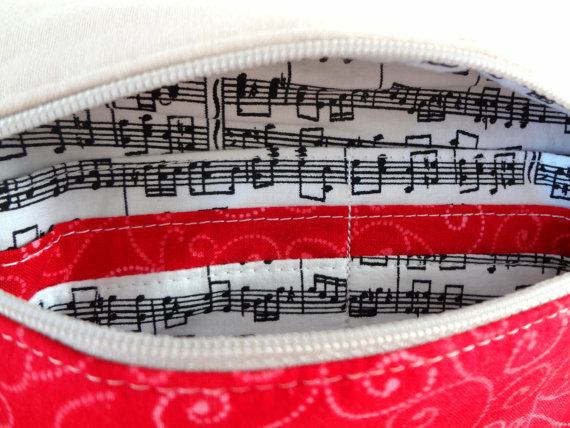 This is the inside of the wristlet – I love the surprise music notes! These came out so cool I bought one for myself! I gave them to the girls the night of the rehearsal dinner, along with the jewelry. For the guys I also turned to Etsy for part of their gift. AnnieHowes Etsy shop has make your own cuff link kits. 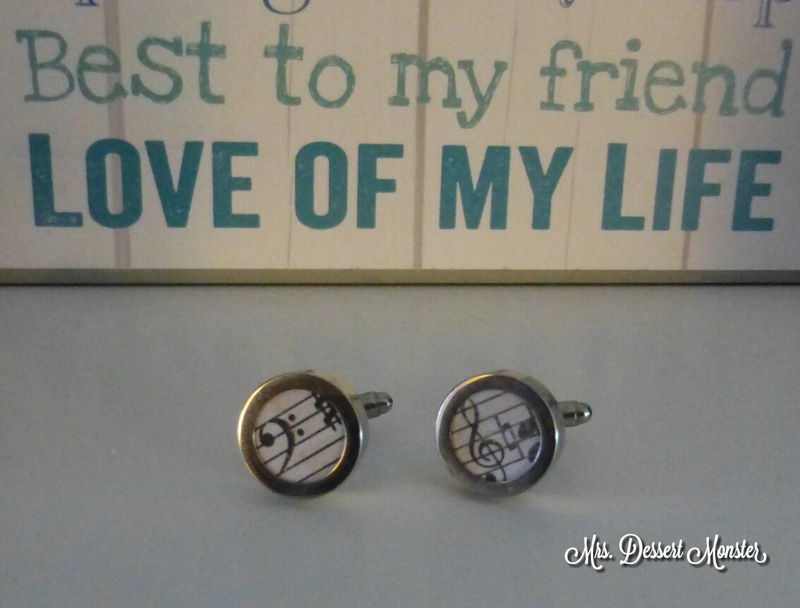 I bought one & made musical cuff links for all the guys! I also got them personalized bottler openers with their initials from Oriental Trading, but there are no pictures of that. Sorry folks! It’s funny how during wedding season last year I thought I was taking too many pictures of all the details. I did not know about the wonderful world of blogging back then. Next week will be the last installment of Wedding Wednesday. There’s only so much I can say about the details of the wedding. On marriage, though, I could talk forever. Hmm…new series idea? Etsy always has the best personalized gifts!